I have been a slightly to moderately bad blogger in the past few months, and I apologize. Not because I've been pretty sparse with my posting, because there have been good reasons for it, but because I haven't been able to TELL YOU about so many of the reasons. I'm revoltingly pleased to be able to share one of the reasons with you now. 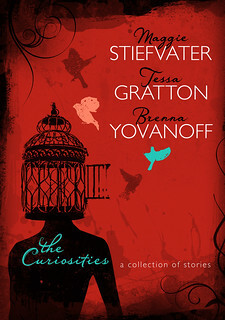 Here's the cover of THE CURIOSITIES: A COLLECTION OF STORIES, which is a collaboration with Brenna Yovanoff and Tessa Gratton. Many people will recognize that we've been collaborating online for quite awhile, posting several hundred of our stories over at Merry Sisters of Fate. 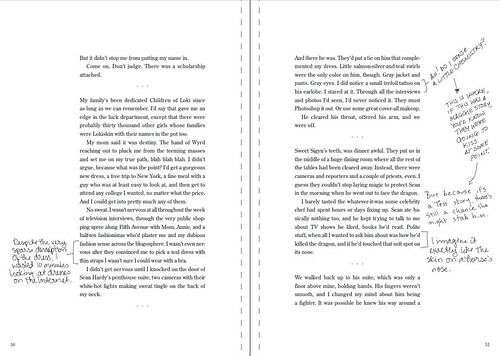 Well, we got to talking about doing an anthology that offered the online stories in a print version . . . and something more. We wanted to show the behind-the-scenes process of being Merry Sisters of Fate, which is about a lot more than posting stories online. 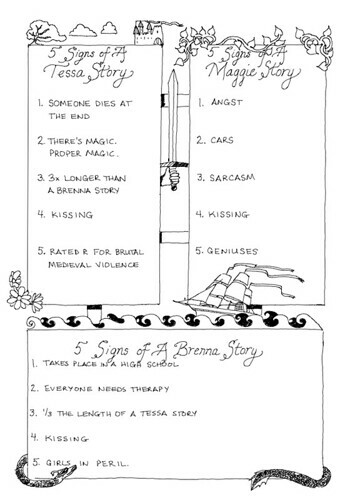 Because of course Brenna and Tessa are also my critique partners. They read every stitch of writing I do before my editor ever lays eyes on it. They know every project I have in the works for the next six years. They know everything about my writing life. And it's sort of mutual. Anyway, I'm really REALLY pleased with how it's turned out. And I'm holding an advanced review copy in my hand RIGHT THIS SECOND. And if you want to win one, we're giving them away over at Merry Sisters of Fate. And even if you don't want to win one, I hope you'll let me know what you think about the cover and contents! P. S. I saw Hunger Games. P. P. S. More about that later. In Which Maggie Asks "Any Questions?" Knock Knock. Who's There? Peanut.